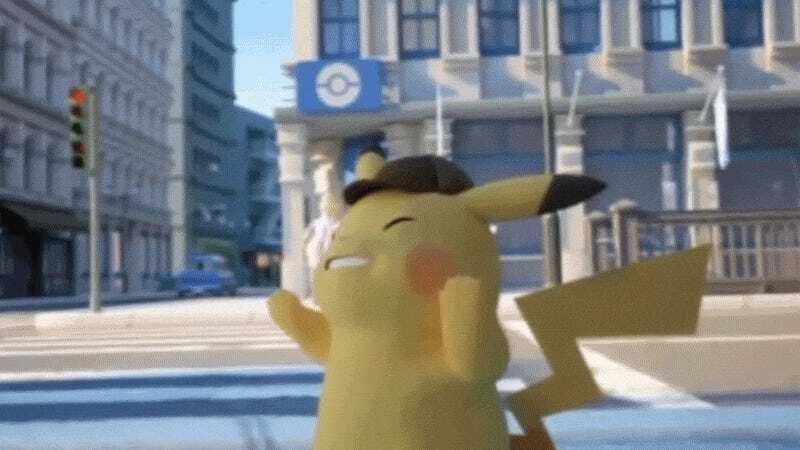 In Great Detective Pikachu: The Bird of a New Duo, our titular sleuth is able to talk. But not everyone can understand him, including the women he tries to pick up on the street. The game’s intro starts with a dream sequence and then cuts to Pikachu in Rhyme City. When he talks to people, all they hear is “Pika pika.” After he fails to chat up a lady on the street, he wonders, “Where is someone who understands what I’m saying?” That someone is Tim Goodman, who has arrived in the city to look for his father, who disappeared two months ago.